Immigration, aging society, diversity: In addition to individual legislative issues, companies, associations and institutions must also observe larger societal trends. In the new edition of "hbpa Wissen" we outline these and point out the main conflicts as well as policy options. Click here to view the document. Immigration, aging society, diversity: In addition to individual legislative issues, companies, associations and institutions must also observe larger societal trends. In the new edition of "hbpa Wissen" we outline some of these and point out main conflict lines as well as policy options. Click here to view the document. 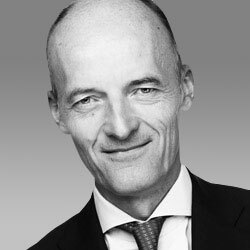 Hans Bellstedt (Ph.D.) is founder and Managing Partner of hbpa. Before establishing his own firm in 2008, he co-founded and managed Plato Communication, a PR and Public Affairs consultancy with offices in Berlin and later also in Brussels, between 1999 and 2007. The grand coalition after carnival season: The beginning of the end? Digital Health: "Disrupt yourself" not "keep it up!" Coal Commission - Problem solver or problem in the climate crisis?